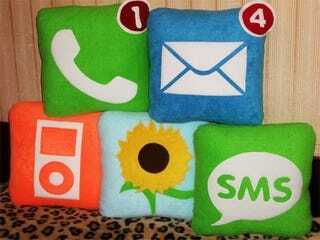 It Took This Long To Make iPhone Icon Pillows? I thought we saw every kind of nerdy pillow imaginable but, for some reason, iPhone icons slipped under the radar despite being well represented as coasters and paperclips. Finally, someone has delivered.